This entry was posted on December 14, 2009, 10:46 am and is filed under Music, web services. You can follow any responses to this entry through RSS 2.0. Both comments and pings are currently closed. The problem is the restriction to music that must be available on MusicBrainz, because they get the track length from there. Nevertheless, the general idea behind is good. 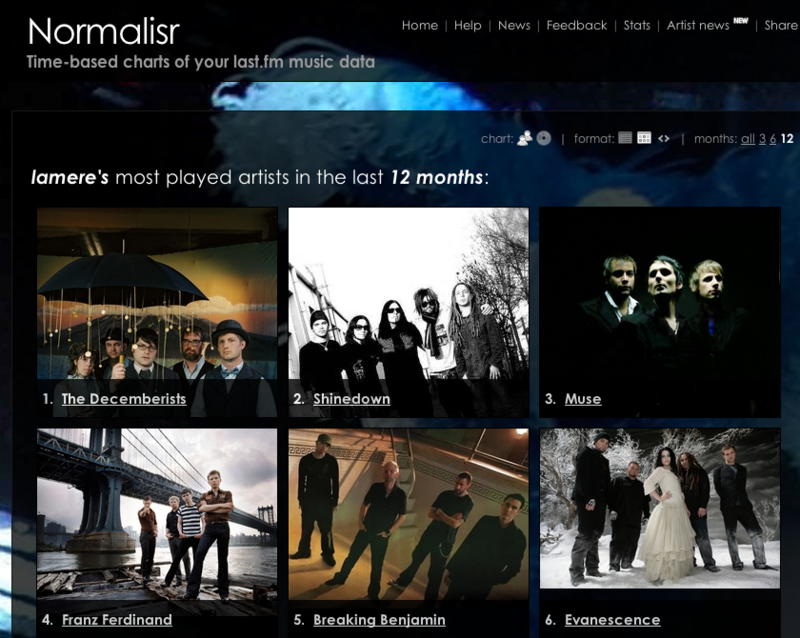 I’m wondered whether Last.fm don’t provide this information.